The zombies are gaining on me. The wailing of the undead crescendos, then subsides as I put on a burst of speed that sends me out of the parking lot and onto the street. This time, I've escaped intact, but I likely haven't escaped judgment from the (living) people who can see me from their office windows, sprinting like a crazy person. I'm Runner 5, about to clear my second mission in Zombies, Run!, an app from U.K.-based game-development agency Six to Start and writer Naomi Alderman, which has accomplished the improbable task of getting people to shell out money to go running. At $7.99 a pop (and with about 100,000 downloads sold in three months), that's no mean feat. DailyBurn: For as little as $10 a month, you can stream high-definition exercise videos straight to your smartphone, tablet, laptop or TV. The smartly produced videos, from the director of the popular P90X exercise program, feature a variety of workouts, formats, levels and trainers, plus a comprehensive nutrition site with recipes and tips. Tech: The "IntelliBurn" function gives workouts an interactive, customized feel. Users log stats to see estimated calories burned and can try challenges--like how many push-ups they can do in a minute--to see how they stack up against fellow Burners. The more workouts completed, the higher your rank. Users can also post progress photos and read workout reviews. Verdict: Workouts are easy to follow and don't require a large space, making them ideal for apartment dwellers. But lesson learned: When it gets late, the downstairs neighbors don't care about your plans for getting in shape. Feel Rich: Co-founded by multiplatinum record producer Quincy Jones III, Feel Rich aims to be the go-to fitness resource for the "urban and hip-hop community." Videos feature hip-hop stars like Paul Wall and Fat Joe (whose moniker no longer applies), holding forth on food choices, fitness style and health. A Twitter feed, monitored 24/7, has been used to inform people in real time about what to order at McDonald's. Tech: Feel Rich has more than 100,000 Twitter followers, nearly 30,000 Facebook fans and more than 3 million YouTube views--that's more than WebMD, Jenny Craig and Weight Watchers combined--and the content has been syndicated to other health and hip-hop sites. Once the company lands more funding, there will be apps that allow users to compete against celebrities and a build-out for tracking tools and health information. Verdict: It's so much better than a lame anti-obesity public service announcement. It even makes you feel cool for going organic. Fitocracy: The goal of Fitocracy, created by two hard-core gamers turned fitness junkies, is to get you addicted to working out. Increase your level by logging workouts (activities are assigned point values); going on quests, such as playing sports for 30 minutes; and interacting with other Fitocrats by following them and encouraging their achievements with "Props." Tech: A Facebook-like interface helps connect the roughly 400,000 users and makes it easy to get advice and discover new activities. Fitocrats form tight communities and are even known to meet offline. Coming soon are more social features, including a buddy system for newbies. Verdict: It has the same addictive game mechanics as FarmVille. Once you see how many points are awarded for weight lifting--which the founders say has the best ROI of any exercise--you'll be tempted to give it a try. And there's something undeniably satisfying about logging in to a page that greets you with, "Looking good today, Tiger." FitOrbit: By leveraging internet and mobile connectivity, Jake Steinfeld of Body by Jake fame has created scalable online personal training. For about $40 per month, you're matched with one of some 150 trainers on the roster who deliver customized meal and workout plans on a weekly basis (based on data you've tracked and recorded). Tech: Trainers are rigorously selected and taught how to effectively coach online. Users have access to a comprehensive library of foods for logging purposes and hundreds of custom workout videos. The company has partnered with organizations like Jenny Craig for an "e-personal trainer" program. Verdict: There's no algorithm to replace human expertise and a personal touch when it comes to fitness. However, there is a deep sense of satisfaction in not paying $80 to $120 an hour for traditional personal training. Nexercise: If you'd rather use your phone to track your activity, check out Nexercise. Keep the app on and earn experience points and level up just for moving around. You can also win free food, apparel and electronics. The social component is collaborative and set up to make people feel like they're in it together. Tech: By giving users the ability to comment on each other's activities, follow one another's workouts and even train together virtually (you get more points when you're doing an activity with someone else), the company has created an engaged community of more than 100,000, including a bikini world champion. 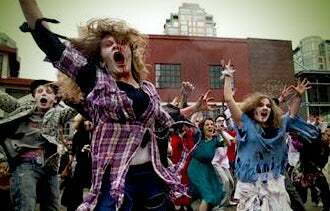 Verdict: The days of an exercise flash mob are almost upon us. Who's ready? Wello.Co: If you can't make it to your usual Bar Method or Zumba class, just go online. Wello's live video format brings fitness instructors and trainers into your living room for individual and small-group workout sessions. Instructors set their own rates, but you've got the option of 25-, 40- or 55-minute sessions starting at $25 (which can be super-cheap if split among members of a group). Tech: Sessions take place over a live, two-way interactive video platform that includes functions like countdown timers and a rep counter. Users can book on demand. Forthcoming updates should include the ability to take and share pictures so trainers can correct form, and access to an anatomy pictorial to point out which muscles should be doing the work. Verdict: It's amazing what you can't get away with over video. You'll always try harder if someone's watching you.